A wall calendar is a must-have item for today’s busy woman. We have more expectations and demands on our time than ever before, often scheduling ourselves almost down to the minute. A large, clear wall calendar located near eye level in a frequently used room of the house can be a major key to keeping ourselves organized and on track. 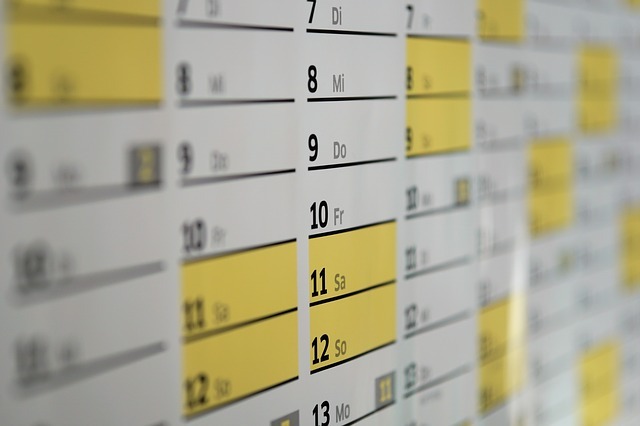 There is a seemingly endless array of wall calendars on the market and any of these commercially produced calendars will serve the basic purpose. However, if you are at all crafty, you can custom design your own wall calendar instead. This is a fun and easy project that can be done in just a few hours. Your wall calendar should be a reflection of yourself. Think about your interests and hobbies. Is your identity tied to your career? Do you have a new baby? Is there something you have always wanted to pursue but never had the time? Do you want to document a vacation or perhaps a place that is important to you? If you or one of your friends is an accomplished artist, you might want to use that person’s drawings in place of photos. It is easiest to create the calendar using a template. Templates are available for easy download on the internet. 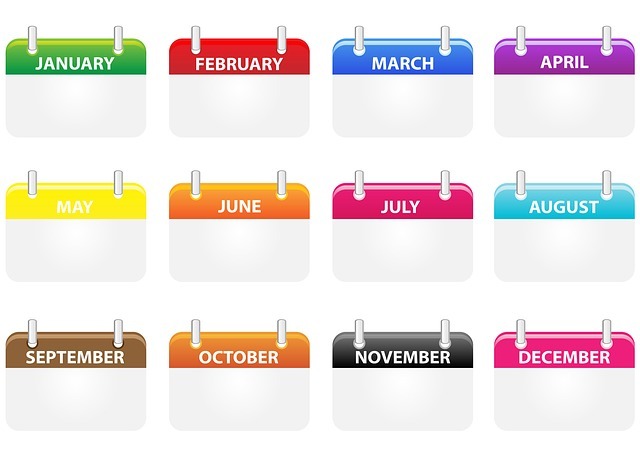 A good template will allow you to customize the size of the calendar blocks and fill in the dates before printing. However, if you prefer to create your own calendar you can do so using a good software program or even by hand. Decorative pieces for a wall calendar might include dried flowers, stickers, fancy matting paper, separate blocks for notes or witty sayings, and anything else you can imagine. Just remember to keep each month’s section in balance and harmony. Also make sure that all twelve months fit together into a logical whole. Array: Things or people arranged in some order to look attractive. Crafty: Skillful at getting what you want, especially by deceiving people. Template: Something that is used as a pattern for producing other similar things. Witty: The ability to say things that are funny and clever. What theme would you use to make a calendar? Welcome to this activity created by Learning Advisor Ivan Baltazar from Narvarte Branch. Take note of all the pink words, read the text, watch the video and answer the question in the comment section below. Previous PostWhat is a Calendar?